Simeon took the liberty of subtitling each of the mainline Mega Man games, so that you can finally start keeping them straight! I’ve mentioned it before, but here in the last year or two I’ve started frequenting used game stores. I’m not entirely sure why, but there’s something about stumbling across an old classic or hidden gem that I never got to experience when it first came out that I find immensely satisfying. And let’s not forget the warm and fuzzy feeling of getting said games for a good price! Mega Man 11 and Portal* for Switch! Every few days, a brand new game is announced for Nintendo Switch. We’ve started doing a news segment weekly and we can barely keep up! In this installment, we discuss the (blue) bombshell that Mega Man 11 is blasting his way to Switch next year, followed by the biggest surprise in a while… Portal is back? Mega Man is at a weird juncture in its life. 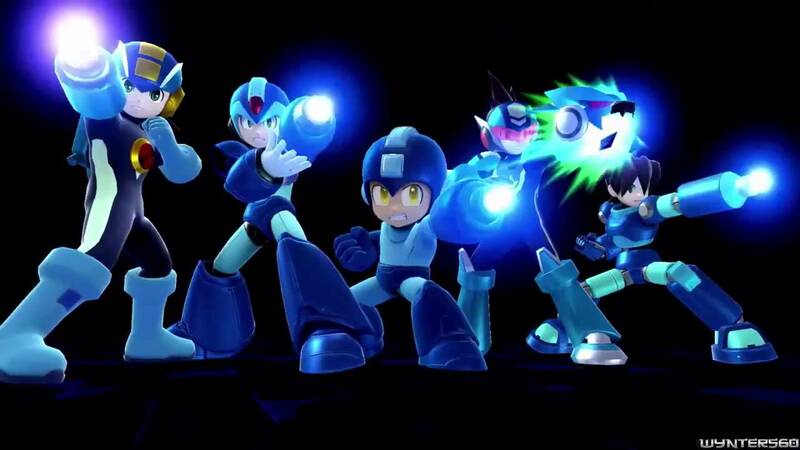 It has been five years since the last actual game release with Street Fighter x Mega Man. But since then, there have been fan games released, a “spiritual successor” in Mighty No. 9, guest appearances in fighting games like Super Smash Bros., a cartoon series and movie announced, and a “big announcement” coming in December for his 30th anniversary, not to mention several collections for modern consoles of some of his classic adventures. I guess you could say that he is experiencing his own mid-life crisis, trying to find his identity in these unfamiliar times. Not to alleviate that, it is my goal today to tell him that the franchise that bears his namesake is not about him. It may be rude to kick someone while they are down, but I want to bring some reality to the situation. First, I want to prove that Mega Man is NOT the central protagonist of his franchise, then present to whom I believe the spotlight has shifted. Also, I will be dealing primarily with the “classic” timeline. For those of you unfamiliar, the Mega Man canon is divided up into 2 main timelines. The first is what I will refer to as the classic timeline. This includes the classic series, X series, Zero series, ZX Series, and Legends series. The second timeline, in which Dr. Light pursued software solutions as opposed to robotics, contains the Battle Network and Star Force series. It is a little more complicated than that, but, as I said, I will refrain from using those sources when I can. The difficulty in defining Mega Man as the star of his own franchise begins with defining who you are referring to when you refer to Mega Man. Do you mean the classic 8-bit rendition, or the reploid named X, which bears resemblance? Perhaps you are referring to Mega Man Volnutt, or maybe the persona created by the fusion of Geo and Omega-Xis? Will the real Mega Man please stand up? If you were to count characters commonly referred to as Mega Man (by games of fans) you would come up with no less than five, or three in the classic timeline, and possibly as many as twenty or more depending on which renditions you “count”. Even if you were to only count three, all of them are separate entities with their own origins and personalities which they do not share with any of the others. Also, no one of those characters plays a major part in all of those games or series. The best way around this is to hold to a view that Mega Man is not a single entity, but rather an idea centered around championing peace, justice, and the color blue to a troubled world. At that point, Mega Man is no longer a character, but a loosely-defined set of characteristics that do not find themselves clearly stated in the games, but are then defined by the player. It is an entertaining thought, but hardly a basis of a character. One champion above the others…? Now that we are forced to chose one Mega Man, we must choose wisely. First, we should immediately eliminate Mega Man Volnutt from the equation. His series takes place thousands of years apart from the other series, holding only tangential story ties. Next is the classic Mega Man. It was with him that the franchise began, and I think that it is safe to say that he was the original protagonist of the series. But this Mega Man does not have any direct influence after the time of the classic series end. Though nostalgia may cloud our vision, he had to pass the torch eventually. Lastly, we have X, which I believe is the best of the Mega Man candidates. We see his origins in the classic series, created by Dr. Light as Mega Man’s successor and an experiment that one day robots might be just like humans. X’s main story begins in Mega Man X, extending through the X series. He fights in the Maverick Wars against Sigma and his underlings. X’s influence is seen through the Zero series (though not being the main protagonist) turning into a cyber elf, still fighting for the greater good, but dying-ish in Mega Man Zero 3. His soul returns in the form of Biometal Model X in the ZX series, continuing in his assistance to the current heroes. No doubt X’s influence is felt throughout these time periods. His help in defeating Sigma countless times, as well as other threats against the earth cannot be overlooked. But even with all of these points, the developers have not ceased to draw our attention to the real star of the show. Was there any doubt when you started reading this article who I would land on as the franchise’s main protagonist? 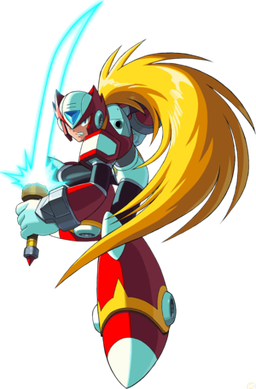 Not only does Zero have a great design, killer moves, and hair that makes all the ladies jealous, but Zero is the central character of the Mega Man franchise as a whole. First, there is the issue of presence. Of course, Zero is not clearly present in the Legends series (yet), but, once again, the Legends series is so far removed from the rest of the timeline that we must minimize its effect. Zero’s story, as X’s did, begins in the classic series with Wily’s creation of Bass as a rival to Mega Man. Though Bass failed to live up to Wily’s expectations, he studied the energy he had used to create Bass (called Bassnium, lol) to create the ultimate weapon. Here we see Zero’s sinister origins. Before the events of the first Mega Man X game, Zero is shown to be a maverick (read: “crazed, destructive robot”), unstoppable by any of the Maverick Hunters except Sigma, and only that due to a headache caused by the Maverick Virus, which is released from Zero’s body upon defeat. Sigma has Zero brought back to the Maverick Hunters’ base. From this point forward, the storyline of the series follows two repeating themes. The first is Zero’s redemption. Though Zero fights for truth, justice, and all that jazz, his primary struggle is against himself. In fact, just about everyone’s struggle from this point on, for the next few hundred years, at least, can be traced back to Zero, either directly, or in the form of the Maverick Virus, or some other “chunk” of Zero that finds its way to a sinister purpose. Sigma, the main villain from the X series, turned evil because he was infected by the Maverick Virus. All of these things set the stage for Zero to not only become the primary hero of the X series (and beyond), but also the primary antagonist, as he must fight to redeem his initial purpose as a weapon of evil and his past (and recurring) destructive actions. X is a hero for good that pretty much stays good. Boring. The second theme is sacrifice and rebirth. As you may know, Zero dies. He dies A LOT. His deaths are not just the result of his defeats, however, as he routinely sacrifices himself for the greater good (defeating Vile on MMX, Sigma in X5, etc.). But just as the evil part of him is consistently brought back to life by some wicked plot, he always seems to find his way to the land of the living as well. The cycle continues at least through the ZX series, and probably beyond. The last thing I feel I need to address is the “when”. When did the focus shift from Mega Man to Zero? I think the easiest answer is Mega Man X4, as we see a greater, overt emphasis on Zero’s role starting there (X1-3 seem to focus on X, X4-6 focus on Zero, and X7-8 on Axl), but I think we can go back a little further. At the beginning of the first Mega Man X game, we see X defeated by Vile, and Zero swooping in to save the day. While giving X a pep talk Zero says, “If you use all the abilities you were designed with, you should become stronger…you may even become as powerful as I am.” From this point forward in the game, whenever X gains an armor upgrade, he becomes more and more like, say it with me, Zero (this point is taken from Arin “Egoraptor” Hanson’s Mega Man X Sequelitis video. There is strong language in the video, so follow it at your own risk)! Though X is the central protagonist, becoming like Zero is his ultimate goal. What is the plot of the Second X game? Rebuilding Zero after his heroism in the first game! Even when he is not alive, Zero is given the center stage. Though the plot in X3 does not necessarily revolve around him, he is still given an increasingly important role, as he is finally a playable character, setting the stage for him to be the center of attention for the rest of the series and, after that, the franchise. So, there you have it. All roads in the Mega Man universe lead to Zero. P.S. Did I mention that he also appears in the Battle Network timeline as well? Maga Man Trivia – Can We Stump the Pro? Simeon is a bit of a Mega Man whiz. He’s a speedrunner and all-around know-it-all when it comes to the Blue Bomber. But can Scott scour the internet for obscure details about the franchise to take Simeon by surprise? Watch and see! Future of 2D Metroid, Wii Shop, Mega Man?! In the first-ever installment of Live Show News, we’ve got our crystal balls out to talk about the ~future~ of video games! Wii Shop Channel? Mega Man? 2D Metroid? It’s all here, and discussed by Simeon and Scott!